Kuddle is an awesome free social networking app for kids. Available for both iOS and Android, Kuddle has been designed to introduce kids of almost all ages to the world of social media. It provides them with a safe and secure digital environment where they can learn the basics of social networking (posting photos, sharing media etc.) in a controlled manner. To do so, all prospective users of Kuddle under 13 years of age need to have their account verified by a parent before they can start using them. Apart from that, Kuddle also has some “standard” social networking features disabled by default (e.g. photos can’t be commented on, users can’t be tagged in photos, friends once accepted can’t be removed). Kuddle also displays full names by default, instead of using usernames. Sounds interesting? Let’s find out more. Home: This is the default landing section, and the first from the left. 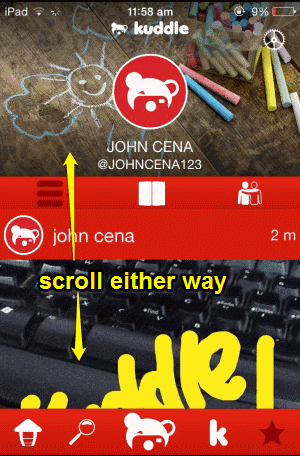 It consists of all the photos uploaded by a user and his/her friends, viewable as a vertically scrollable list. Search: As the name suggests, this opens up the search section. You can search for users, uploads and things like that using this option. 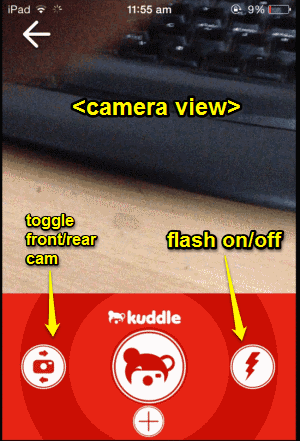 Camera: Represented as Kodi Kuddle (Kuddle’s mascot), this icon sits front and center of the bottom bar. Tapping it fires up the device camera, where you can take photos and post them to your profile. 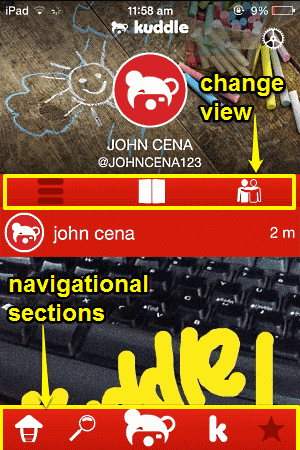 You can also annotate your photos (discussed later) with drawings before posting them. Kodi Kuddle Profile: Tapping this icon lets you access your (and everyone else’s as well) default friend, Kodi Kuddle’s profile, as a vertically scrollable list of funny photos. Profile: Indicated by a star icon, this section lets you access your profile, including the photos you’ve uploaded, liked etc. and more. How To Use This Free Social Networking App For Kids? Step 1: Tap the middle icon (the one that looks like a teddy bear) on the bottom bar. This should open up the camera interface. Here, you get standard options for taking photos, such as toggle between front and rear cameras, flash on/off etc. Step 3: As a final step, Kuddle gives you a cautionary message/advice regarding safe practices to be followed while using social media services. This message pops up every time you upload a photo via Kuddle. Only after you agree to it, can you use Kuddle to share/upload photos and other content to your account. Once that’s done, others can like it anonymously and favorite it. How cool is that? 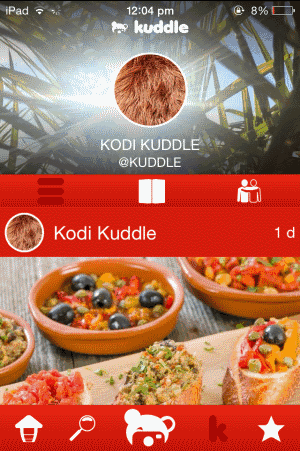 Kuddle is an incredible free social networking app for kids. It’s simple and easy to use. Kuddle provides a safe and secure environment for kids to get accustomed with the basics of social networking. Features like cautionary messages, removal of unnecessary features etc. 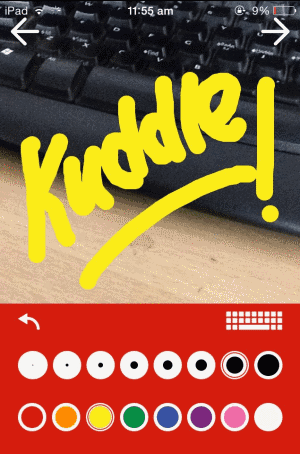 make Kuddle great for kids of all ages. Then there are fun things like anonymous likes and doodles, which make it even better. Do give Kuddle a try, you’ll love it. Kuddle on iOS App Store.